"It was 70 years ago today - January 6, 1939 that a young German immigrant and passionate jazz fan named Alfred Lion held the very first recording session for what was to become Blue Note Records. 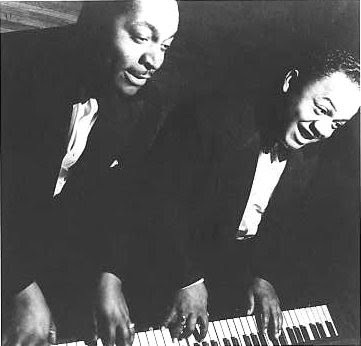 Two weeks prior Lion had found his calling as he sat spellbound by two boogie-woogie pianists—Albert Ammons & Meade Lux Lewis—at the legendary Spirituals to Swing concert at Carnegie Hall, and the world’s premiere and longest-running Jazz label was born. To celebrate the label’s history and to mark this important milestone, NPR's Talk of the Nation will host an hour of conversation and music this afternoon with the label’s current president Bruce Lundvall—who relaunched Blue Note 25 years ago—as well as longtime producer Michael Cuscuna and pianist Bill Charlap. Click HERE for show info and to check out the online feature." Blue Note will also be celebrating with a massive campaign featuring special reissues, concerts, book releases, and various other events around the globe. More to come on NYC events soon.